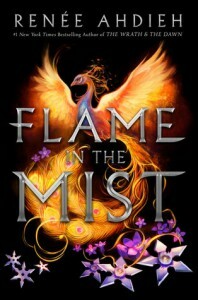 Flame in the Mist. - Liz Loves Books.Com. Wow. So anyway I haven't swapped between reads as I normally do since I picked this up again this morning so I've finished it today and I thought it was beautiful. Absolutely mesmerising. Didn't know anything about it beforehand, about it being a Mulan retelling or anything about the author who I've not read before (but will certainly keep doing now) I've found that out since but this story and these characters just transported me away. Completely away. I lived every minute of it. And that to me is the sign of a blinking good book. I shall of course review properly for publication. For now though. Yes. Lovely. Do it again please. Didn't want this one to end..and WHAT an end.